The packaging is noticeably different to the old one. The black box is still the same and the sleek, black pencil/pen type packaging is the same, but the text is very different. Gone is the small, lowercase, rounded font that appears on most Avon packaging. These boxes and pencils have large, uppercase and bolder fonts. It's definitely more eye-catching than before. The first thing that I noticed is that it is definitely easier to apply. The extra creaminess prevents the tugging that can sometimes occur with the original Glimmersticks, making for a far smoother application. The lines on the left side of each shade are just one swipe with the pencil, whereas the ones on the right are multiple swipes. The longevity is also improved which is fantastic. The lasting power of the original formula could sometimes be worn pretty thin by the end of the day, but the new formula is definitely harder-wearing. 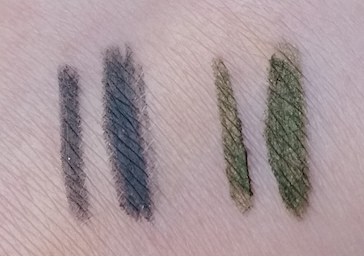 It still doesn’t stand up to the sticking power of some other eyeliners (like one of my personal favourites, Urban Decay’s 24/7 Glide On Pencil), but it is great for the price that you are paying for it. You can make it to the end of the day with only minimal fading. The waterproof element is pretty great. When on the back of the hand for the photos above, I wet my finger and rubbed it and it didn't budge at all. It took a fair amount of effort to remove with just water alone. With makeup remover though, it comes off quickly and easy. 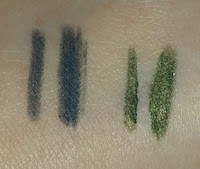 Overall, I’m pretty relieved with the reformulation of Avon’s Glimmerstick Eyeliners. They have certainly improved, so this is a case of things working out well rather than it all going pear-shaped. 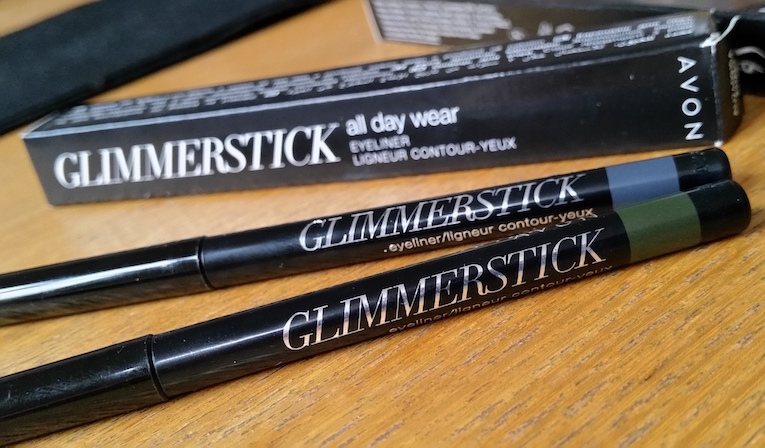 Glimmerstick fans can be assured that their fave eyeliner is now slicker and of better quality, meaning that you will be getting more for your money than before. The new Glimmerstick's will be available from Avon's Campaign 3 in the UK. I will update when they are available to buy online. What are your thoughts on the new Avon Glimmersticks? Do you love or loathe the originals?